2017 will be the year of important elections in Europe. In France, Marine Le Pen has a chance to win the presidential elections and Germany will have to come to grips with the rise of the Alternative für Deutschland, a right-wing populist party which arrived on the political scene only three years ago and fed on the migration crisis. The first election in an important EU Member State, however, will take place in the Netherlands on March 15 and also there a sharp turn to the political right can be expected. In current polls, the Freedom Party (PVV) of right-wing firebrand Geert Wilders, is neck and neck with the party of current Prime Minister Mark Rutte, the centre-right People’s Party for Freedom and Democracy (VVD). Both parties represent the political right, albeit two very different currents of it. Rutte’s way of governing has been based on making deals with various other parties and seeking consensus for his policies. Wilders, on the other hand, has made his mark by criticising exactly this consensus culture and showing less willingness to compromise on almost all issues. The Dutch language even has a word for sitting down and talking things through to reach a consensus, polderen, but recent developments indicate that this type of politics is under pressure in an increasingly polarising political environment. Still, compromise is going to be the key to power for any party that wins the election. To begin with, terrorism, immigration and religion are among the most important issues. Wilders, who has been very outspoken about his resistance towards taking in Muslim refugees and migrants and wants to forbid the Quran, is currently on trial for inciting hate speech towards Moroccans at a rally in 2014. As such, this is nothing extraordinary for Wilders, given that he was on trial for public incitement in 2010 and 2011 already. He has described Islam as a violent political ideology and has been under permanent protection by four bodyguards since 12 years because of death threats made against him. His efforts to polarise public opinion on Islam seem to have been successful. The attitude of ethnic Dutch towards Muslims has been impacted by both the perceived threat of terrorism and the refugee crisis. In fact, Wilders’ popularity reached a peak in late 2015, when more than 10.000 refugees entered the country of 17 million inhabitants in the month of October alone. On top of that, recent developments have triggered an increase in violence against Muslims: last week a court in the eastern province of Overijssel sentenced five men to prison for committing an act of terrorism after an arson attack against a mosque. Muslim immigration is a topic that has been making waves all over Europe recently and the Netherlands is no exception. The refugee deal with Turkey has given Rutte some breathing space because it reduced the numbers of new arrivals significantly, but the public discussion has long moved beyond helping refugees and towards identity politics, where it is significantly more difficult to find a middle ground. Another issue on which Wilders has a clear opinion is Dutch EU membership. Unlike in the case of immigration, however, here public opinion is stacked against him and the Dutch are becoming more aware of the benefits that the EU brings to the country. Only half a year ago, when the Association Agreement with Ukraine was rejected in a non-binding referendum, this looked very different. The Dutch government has since found itself in an awkward situation between respecting the referendum outcome and not preventing the other EU countries and Ukraine from concluding the agreement. The Ukraine referendum was initiated by a Eurosceptic website and capitalised on a general dissatisfaction with politics and the EU. The British vote to leave the EU marked a turning point for campaigns against EU membership. Anti-EU sentiments may still prevail, but the political and economic outfall of the Brexit referendum in Britain have moderated Dutch Euroscepticism and calls for more direct democracy. Contrary to fears that one EU referendum would spark another one, the salience of the issue of Dutch EU membership has also been fairly low in the electoral campaign until now. What has happened in the months since July, though, is that the poll numbers of the PVV have declined sharply, down from a 10% lead over the VVD to equal percentages since October. It is indicative of the political weakness of the Dutch political Left that the polls are headed by a moderate and a far-right party. Currently, the four progressive parties that are represented in the Tweede Kamer (Parliament) would together receive around 43% of the vote, which, given the extreme proportionality of the Dutch electoral system, is certain not to suffice for a majority. Instead of forming a coherent counterweight to the political right, the left is mired in infighting. Recently the leader of the Greens (GroenLinks), one of the two strongest left parties in the polls, proposed to form a progressive electoral block which could wield more clout in coalition negotiations with the VVD. However, the more centre-left parties have opposed the idea to make it easier for them to decide after the election whom to support. The question is which alternative coalition constellations would be feasible. There are two options for Rutte First, he could continue his collaboration with the moderate Left. But the Labour party (PvdA), the VVD’s current coalition partner has been sliding in the polls and most voters would prefer to see it in the opposition instead of repeating the current coalition. Alternatively he might think about forming a government with Wilders. Indeed, a VVD-led government depending on the support of the PVV has been in power from 2010 to 2012, but collapsed over Wilders’ opposition to EU-imposed austerity measures. The issues that have dominated the election campaign until now and Wilders’ criticism on the consensus culture suggest that a new consensus between VVD and PVV would not be any more stable than the first attempt. Unlike Rutte, however, Wilders should have a hard time finding other parties that would support him in government, even if his party came in first. His uncompromising stance on core issues like migration and EU membership make it even less likely that he could concede enough for other parties to join a coalition with him. All in all, it appears that the division between compromise and confrontation separates Wilders not only from Rutte, but also from all other parties. By virtue of his more moderate positions and his willingness to cede ground, it should be easier for Rutte to lead the next government, irrespective of whether his party comes in first or second. Lukas Spielberger (1993) was born in Mainz, Germany and is a student of European Public Administration at the University of Twente (Netherlands). 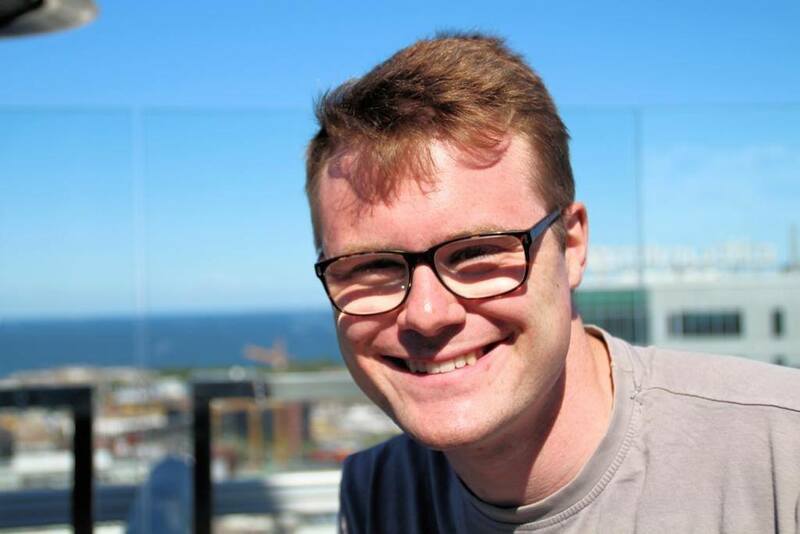 Lukas who was involved in the Capacity Building on Right-Wing Populism and Extremism as an intern in the European Policy Programme of the Heinrich-Böll-Stiftung European Union is a guest on this blog. This article has been categorized in Uncategorized and is tagged wi election, Netherlands, PVV, VVD, Wilders.